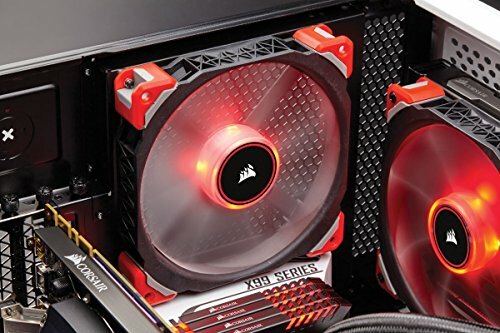 Wanted all my case fans to match, and these are not just mere case fans, they are the Whispers of a Hurricane. Spendy but beautiful AND quiet. Everything you want in one neat little package. Pros: gorgeous lighting, moves air as well as it needs to, length of fan connector is great. 4 Pin PWM control so it runs quietly most of the time. The bonus is it looks good as well! 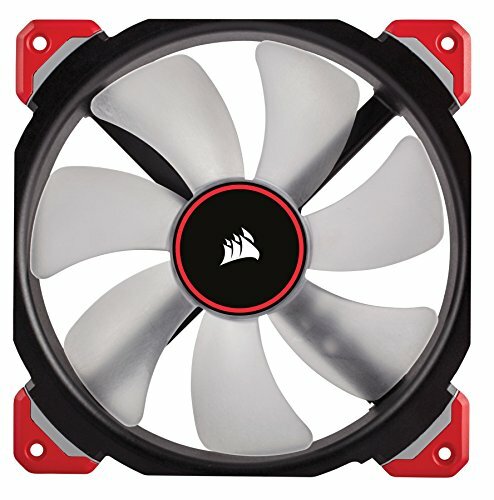 They are slightly more expensive than other fans but I do recommend them. Quiet and bright red. It's a nice fan. The Magnetic-Levitation bearing or whatever does its job. 2X ML140 for front of the case. Will move the 2 fans the case came with the the top of the case. The Meshify case has dark tempered glass, so I wanted some LEDs to brighten it up (barely does though, pretty dark glass!). 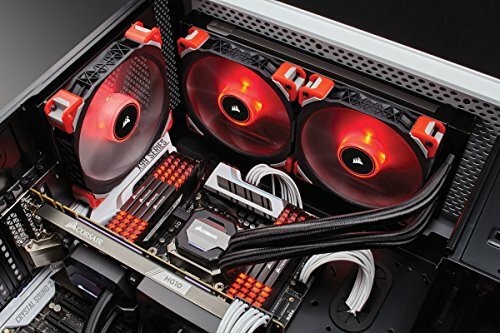 These are really nice case fans designer for both airflow and static pressure. The center mounted LED looks great and they are really quiet up to about 1000 RPM. Unfortunately with a speed increase over 1000 RPM they get really, really loud. It's fine for me as I don't usually have them at more than 900 RPM, but important to know before buying. The rubber vibration dampners around the mounting points are a really nice touch. They also need a 4 pin PWM connection to work properly. 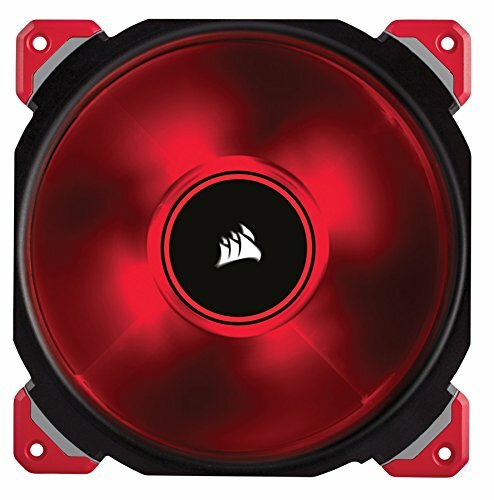 Corsair and Premium Magnetic Levitation PWM Fan, need i say more. Can't say enough about these fans. I absolutely love them. They are quiet, have a solid feel and construction to them, and they look amazing. The red led's light up from the center of the fan spilling the light onto the blades of the fan for a smoother look. The led lights are not overly bright and harsh to look at. 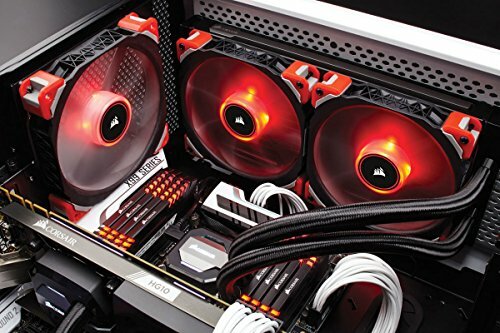 These have amazing airflow, LEDs are a little dim for me but overall, great build quality and looks.